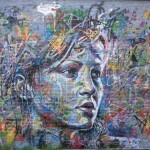 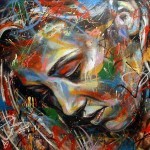 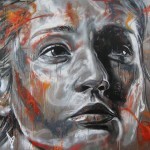 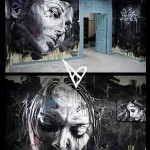 “Working in portraiture, UK artist David Walker’s medium is spray paint. 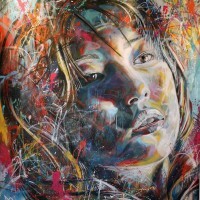 He uses no brushes and has developed a signature multi-layered style, where marks are created, scraped off and then recreated. 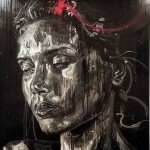 The results speak for themselves – visually rich canvases that fuse photo realism, abstraction and graffiti sensibilities, with a raw energy that comes from the medium.